Day one! 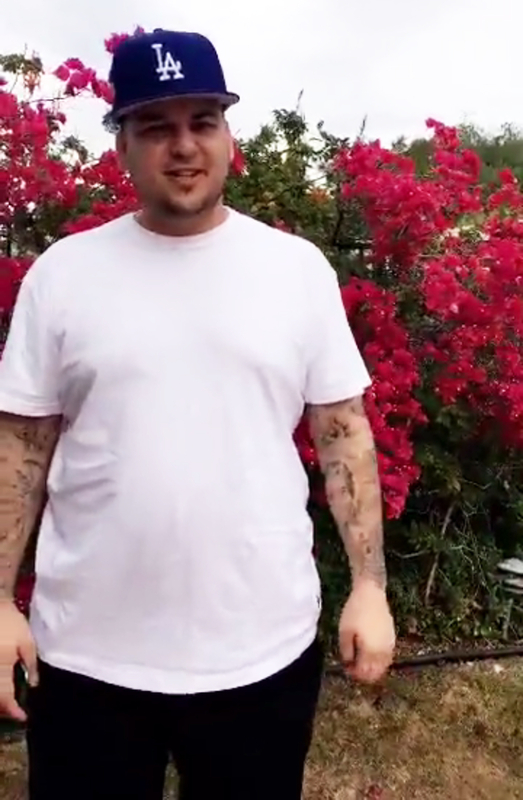 Rob Kardashian has enlisted his fiancée, Blac Chyna, to help him reach his goal weight by her 28th birthday on May 11. 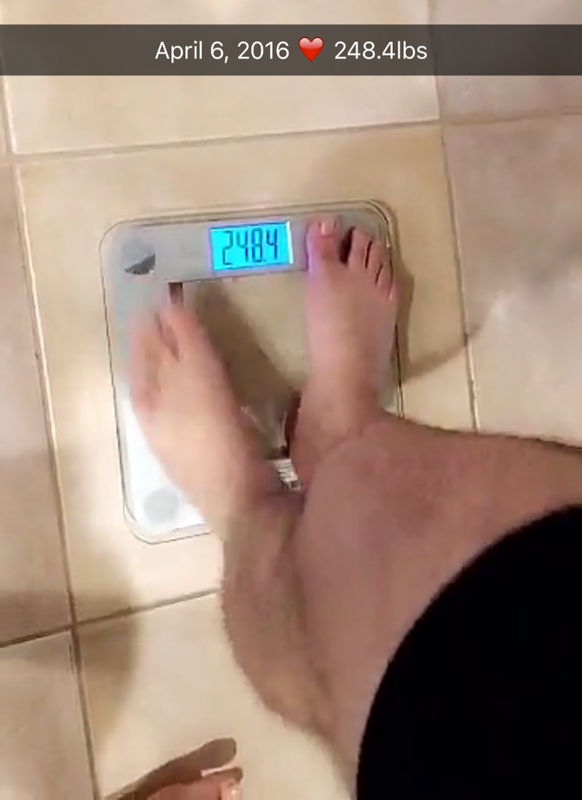 In a series of Snapchat videos taken by Chyna, the formerly reclusive reality personality reveals his current and goal weight. “I’m gonna start training him myself,” Chyna can be heard saying in a video of 29-year-old Kardashian stepping onto a scale which reads 248.4 pounds. 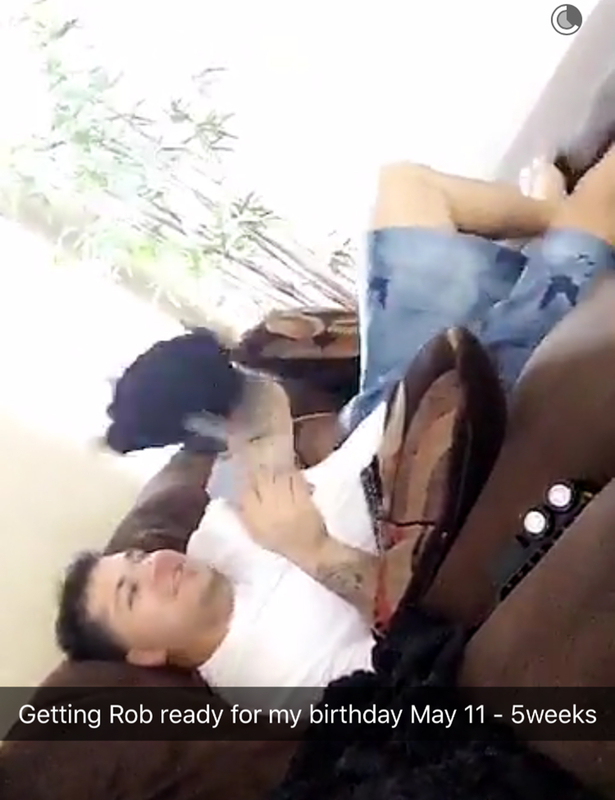 In another Snapchat video, the 27-year-old model has her husband-to-be give his consent to reveal how much he currently weighs. “I weigh 250 pounds and I’m 6-foot-1,” the Keeping Up With the Kardashians star tells the camera. “Do you give me permission to train you for the next five weeks?” she later asks her man before having him get on a treadmill and start running. As previously reported by Us Weekly, Kardashian has lost 65 pounds since gaining 100 pounds over the course of three years. The makeup artist is credited with helping get the Arthur George sock designer out of his funk. When they first revealed their relationship in January, Chyna hired an online personal trainer and chef for the star. She revealed on Tuesday, April 5, that Kardashian had proposed with a 7-carat ring. Chyna’s rep told Us that she plans on taking Kardashian’s last name and going by Angela Kardashian. According to sources, Kardashian&apos;s famous clan thinks he’s ‘making a mistake’ by marrying her.